According to Kevin Hurla CTI# 1053, "The whole Certified Tile Installer (CTI) process has information that installers should know to ensure proper installation." 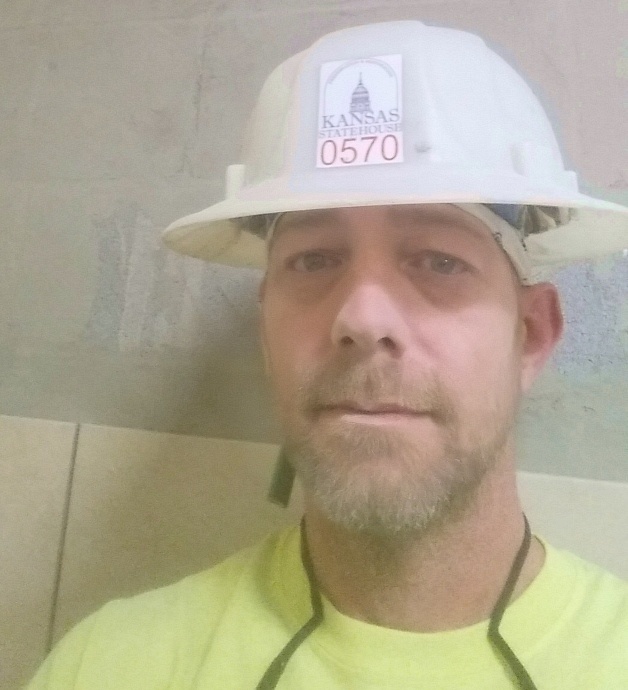 Kevin is the first Certified Tile Installer to be featured in a new CTEF Blog series about Qualified Labor based on articles in TileLetter.com. In 5 Benefits of Being a Certified Tile Installer, we mentioned that a certified installer is considered 'qualified labor' as defined by the Tile Council of North America (TCNA). 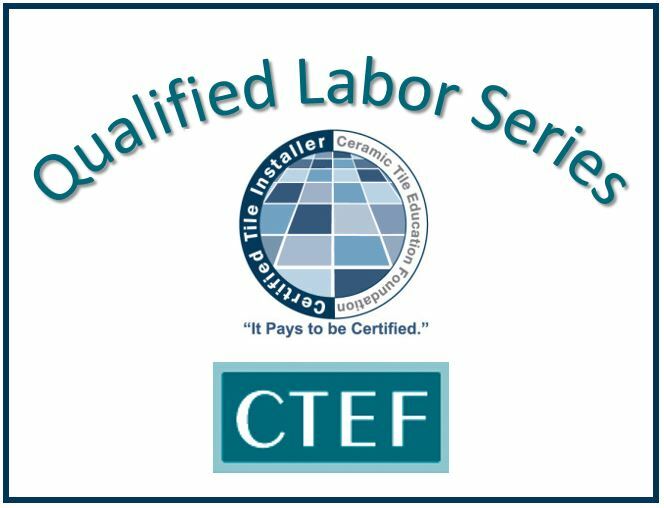 Quality tile installation is at the heart of all of the education and tile installation certification programs CTEF offers. Needless to say, this topic is near and dear to our hearts! As it relates to ensuring proper tile installation, Kevin should know. Hurla has logged 20 years as a tile installer, starting as a finisher in 1989 and then completing a two-year apprenticeship. After taking the CTI written test online, he completed the hands-on test at ISC Surfaces in Kansas City on September 19, 2014. NOTE: ISC Surfaces' Brent Stoller holds the record for hosting the largest number of CTI tests at one site. In fact, he received the first annual CTI Host of the Year award in 2014. Brent is also a member of the CTEF Board of Directors. "I know installers who went through the course, and I took an interest," Hurla said. He didn't think either the written or hands-on tests were difficult. he said. Hurla is proud to be a CTI. "The CTI symbol is displayed on the back of our company uniform, and on the sleeves of the Certified Tile Installers," he explained. Hurla has been with Fox Ceramic Tile in St. Mary's, Kansas, since February 2015. Fox Ceramic Tile specializes in commercial work; it gained National Tile Contractor Association (NTCA) Five Star Contractor in 2011 and takes tile installation certification very seriously! "We have eight tile setters on our team, and 100% of them are Certified Tile Installers. I have just hired two more tile setters and they are scheduled to take the test in March." Fox said that his company just got the green light for a DOL-approved apprentice program -- and the CTI test is the final requirement to achieve journeyman status. "What started out as something I was asking the tile setters to consider now has become a requirement if they want to reach full journeyman scale," Fox said. "I think the certification is that important." 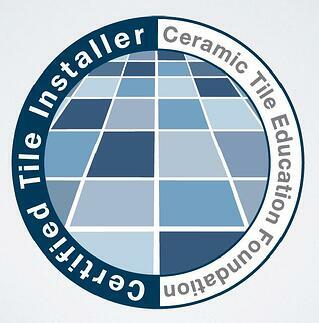 "Having certified tile installers has been part of the strategy in targeting larger and negotiated work. It is just one of the aspects GCs see, along with the company’s involvement with NTCA and Five Star that shows we are a company that not only 'says' we will perform on a project with qualified mechanics (everyone says that), but that we have shown our passion for the industry by validating the skills of the installer and investing the time and talents of the company by being active in the industry’s organizations." Fox is a NTCA State Director and a member of the NTCA Methods and Standards Committee. According to Hurla, becoming a CTI has lasting benefits. "It gives me confidence in my ability to find the correct solution to any obstacles that may arise," Hurla said. "I also carry the CTI books in my truck so I can look up any questions I don't know off the top of my head. " Since passing the tests, Hurla said he pays "close attention to the products I use and the proper instructions on how to use them." The value of what Hurla learned while going through the certification process and its impact on his work prompts him to endorse every opportunity to gain education. "The most important thing to remember is 'knowledge is power'," he said. "If you think you know it all, you're limiting yourself." The prospect of taking his career to the next level excites Hurla. "If I have the opportunity to take the ACT certification I would jump at the chance to educate myself even more," he said. If you'd like to learn more about becoming a Certified Tile Installer, download the CTI Information Kit.